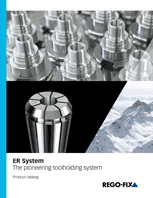 We offer premium-quality products to enable our customers to achieve toolholding excellence. REGO-FIX offers effective and cost-efficient solutions to common machining challenges. Our customers manufacture more efficiently and cost-effectively thanks to REGO-FIX products. This way, they set new manufacturing benchmarks in their industries. Discover how machining experts from fast-paced industries successfully use our products. 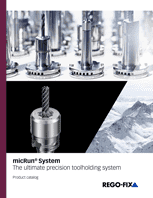 Push your machining to the next level with our visionary product highlights.